CURB (the natural media company) is an interesting organization. 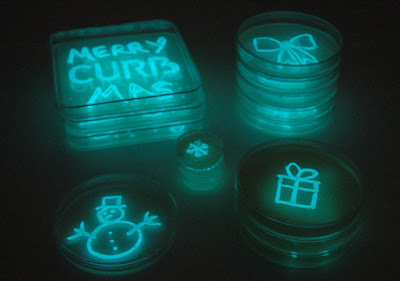 My friend Denisa sent me an article about the recent florescent bacteria media campaign and in looking at the company website, they have been responsible for some really amazing works of biological media. They have sculpted sand, snow, dust, grass, you name it -- making eye catching and ecologically safe advertising campaigns and beautiful works of art.